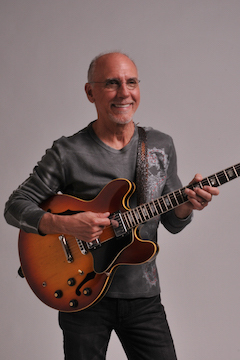 Four-time Grammy winner, Nineteen-time nominee and all-time guitar great, Larry Carlton established himself from the beginning with his first recording, A Little Help From My Friends. His studio credits include musicians and groups like Steely Dan, Joni Mitchell, Michael Jackson, Sammy Davis Jr., Herb Alpert, Quincy Jones, Bobby Bland, Dolly Parton, Linda Ronstadt and literally dozens of others (VIEW LIST). He went on to perform with the Crusaders and then with the multi platinum jazz super group Fourplay. With 30 albums to his credit and having performed on over 100 albums that have gone Gold or Platinum, Larry Carlton has set a standard for artistry that spans three decades.